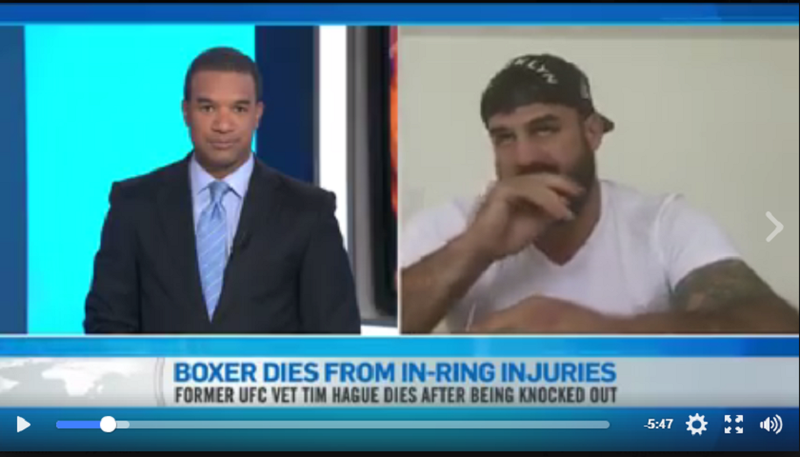 We learned of the unfortunate news of former UFC fighter Tim Hague’s passing over the weekend, and the man who delivered the fatal blows, speaks with media for the first time. Hague was competing against Adam Braidwood in a boxing match in Edmonton, Alberta, Canada on Friday night. Hague was knocked out, brutally bounced his head off the canvas, and transported to a hospital where he was later declared brain dead on Sunday. The 33-year-old Hague was a 10-year MMA veteran prior to trying his hand at boxing. “It’s not a good thing for anyone involved. I want to keep the focus on Tim and his family,” Braidwood told CTV News.